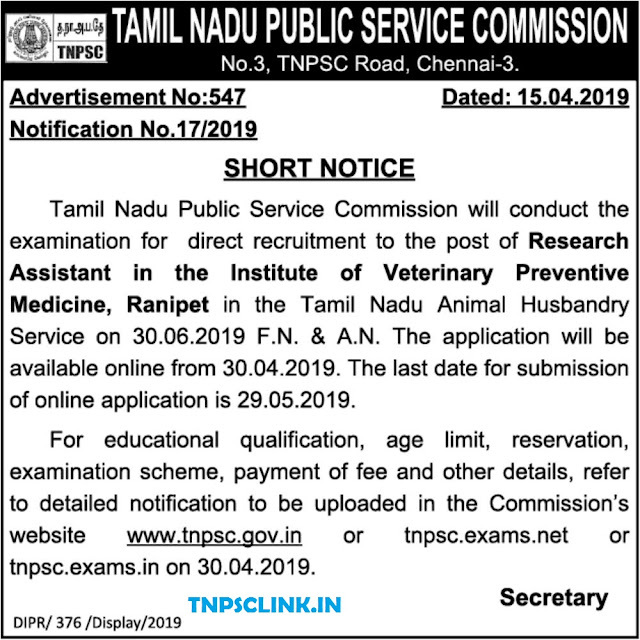 TNPSC inivites online applications for the posts of Research Assistant in the Institute of Veterinary Preventive Medicine, Ranipet in the Tamil NAdu Animal Husbandary Service on 30.06.2019 F.N. & A.N. For educational qualifications, age limit, reservation, exam scheme, payment of fee and other details refer the notification uploaded in the TNPSC commission's website www.tnpsc.gov.in.